which I just happen to have the honor of having a pre-release copy of. book, but there will be more to come in the next few weeks. they were both dishes that I will be making again and again! with cilantro...how is that for an unexpected yet delightful flavor profile! anyway you choose to serve them. 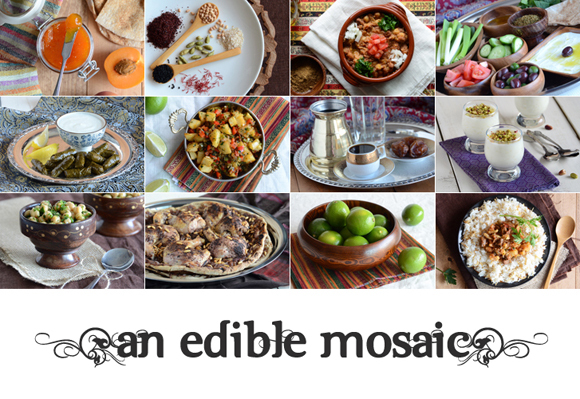 selection of recipes once again and leaned toward the sage tea. growing quite wildly in my garden. as of late, I went iced but will most certainly be trying hot as well. Instead of frying the potatoes, you can boil them for this recipe if you prefer. To do so, put the peeled and cubed potato in a medium saucepan and add enough cold water to cover by about 1 inch (2.5 cm). Bring to a boil over high heat, then turn the heat down to medium-low and simmer until fork-tender, about 5 to 7 minutes; drain the potato and toss with the sautéed garlic/cilantro mixture. 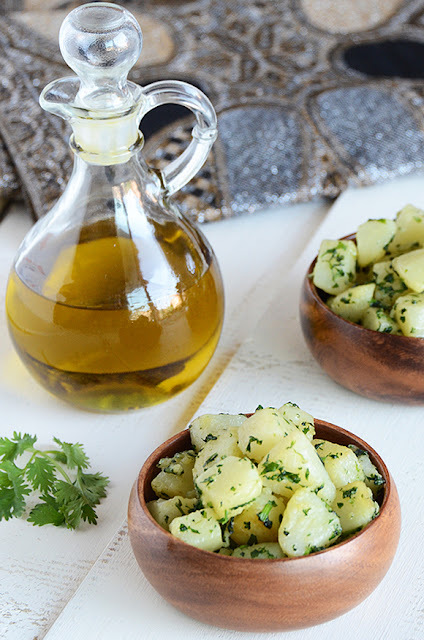 Or the potatoes can be roasted; preheat oven to 425°F (220°C); toss the peeled and cubed potatoes with 2 tablespoons canola oil in a large bowl; spread in an even layer on a large baking sheet and roast until soft and golden brown, about 20 to 30 minutes, stirring once. 1.Coat the bottom of a medium saucepan with about ½ inch (1.25 cm) of oil. Heat over medium heat; add half the potato and cook until tender inside and golden outside, about 8 to 10 minutes, stirring occasionally. Transfer the potato to a paper towel-lined plate to drain, and cook the remaining potato the same way. 2.Heat the olive oil in a large nonstick skillet over medium-low heat. Cook the garlic and fresh coriander leaves until the garlic is light golden and the cilantro is wilted, about 3 minutes, stirring frequently. 3.Add the potatoes and cook until warm, about 2 minutes; serve warm or at room temperature. 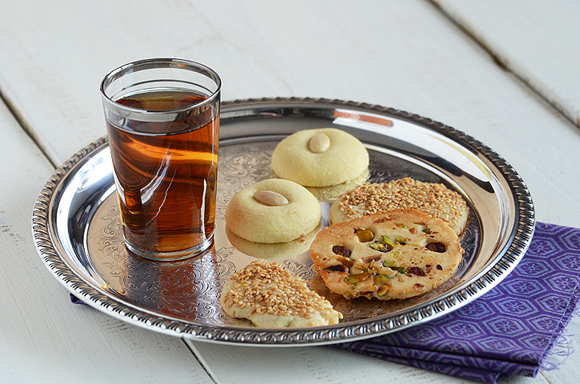 Tea in the Middle East is rarely drunk as is. Instead, herbs, spices, and/or ﬂowers like jasmine, mint, or sage are used to ﬂavor it. 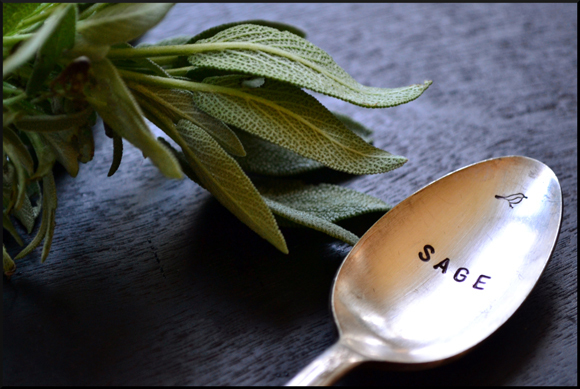 Sage tea is particularly useful to drink after a meal, as it is said to soothe the stomach and aid digestion. 1.Pour the water and sage into a small pot; bring to a boil over medium-low heat, stirring occasionally. 2.Turn off the heat; add the sugar and stir until fully dissolved. 3.Add the black tea and steep 2 minutes. 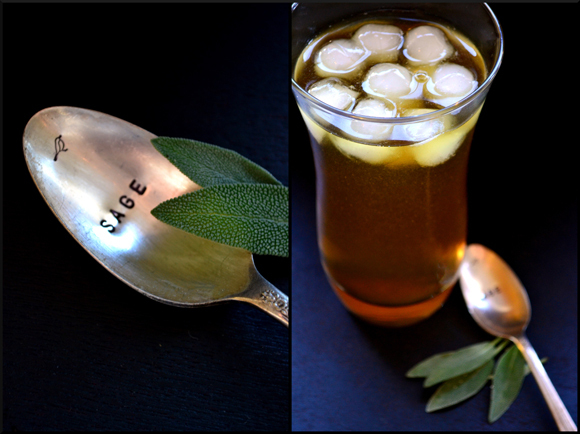 4.Strain the tea to remove sage leaves; serve. that is now available with the link above for pre-order. this incredible array of goodies above! 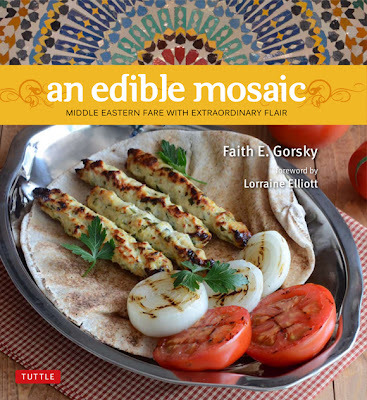 The cookbook is due for official release November 6th 2012!